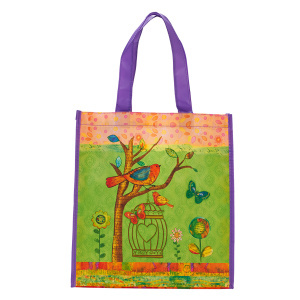 Colourful and encouraging, this tote bag is designed to bless you in your day-to-day work and life. Want a new way to carry your faith every day? 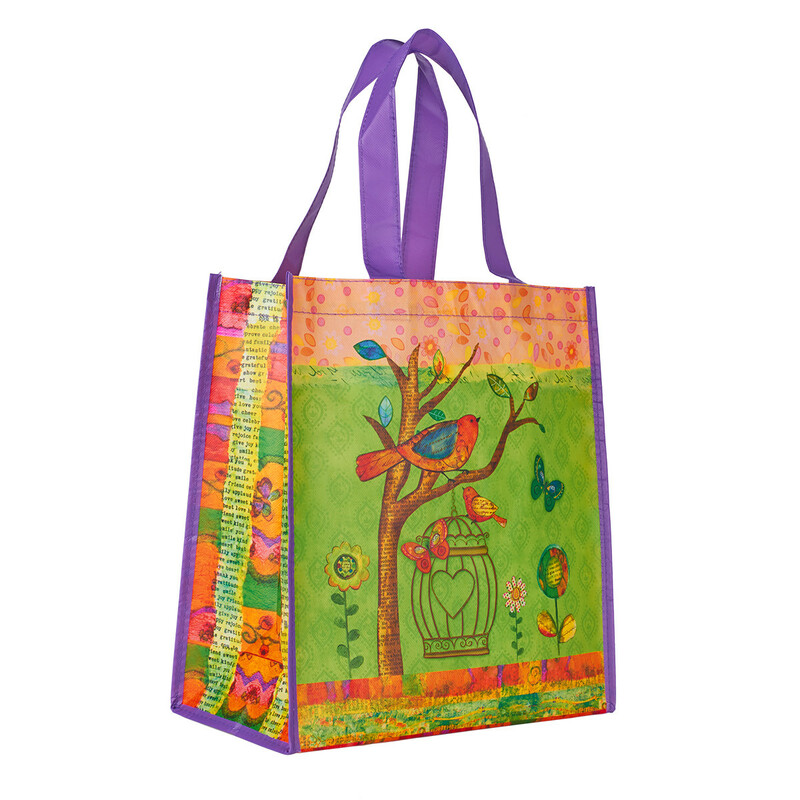 Liven up your day as you run errands to the grocery store, library or Bible study carrying everything you need in this colorful tote. 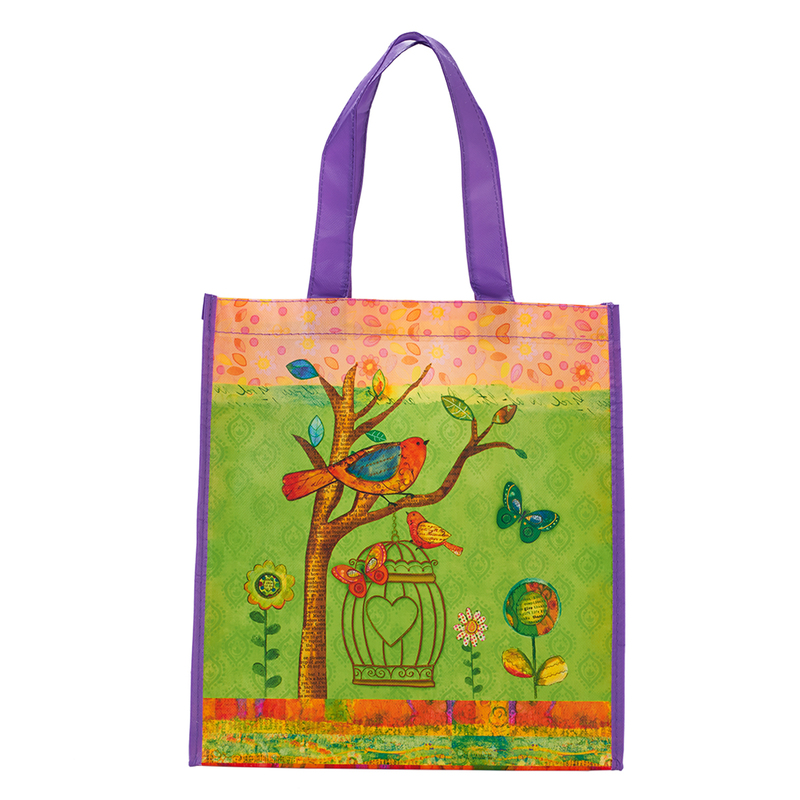 The May Your Day Be Blessed tote features a cheerful design with adorable birds, butterflies, and flowers with its colorful array of purple bordered sides, green background, and orange design along the top and bottom of the tote. The words "May your day be blessed!" are depicted on the front side with flowers and a butterfly, and sweet birds, a cage, a tree, flowers, and butterflies on the back. Both the saying and the scenery on this tote are uplifting and joyful, sure to bring a smile to your face as you tote around your favorite things. May Your Day be Blessed Shopper Bag by Christian Art Gift was published by Christian Art Gifts in September 2015 and is our 165th best seller. The ISBN for May Your Day be Blessed Shopper Bag is 6006937131378. Good for money and makes a nice little gift. We bought a lot of these to give to the ladies at our church at our Christmas Meal. They were really nice and a good price. This is a lovely strong bag, very attractive and not to big. Good sized, light weight bag that folds away neatly in a handbag, ready for use. Great sentiment on attractive design to those that give the bag, use the bag or witness its message. Got a question? No problem! 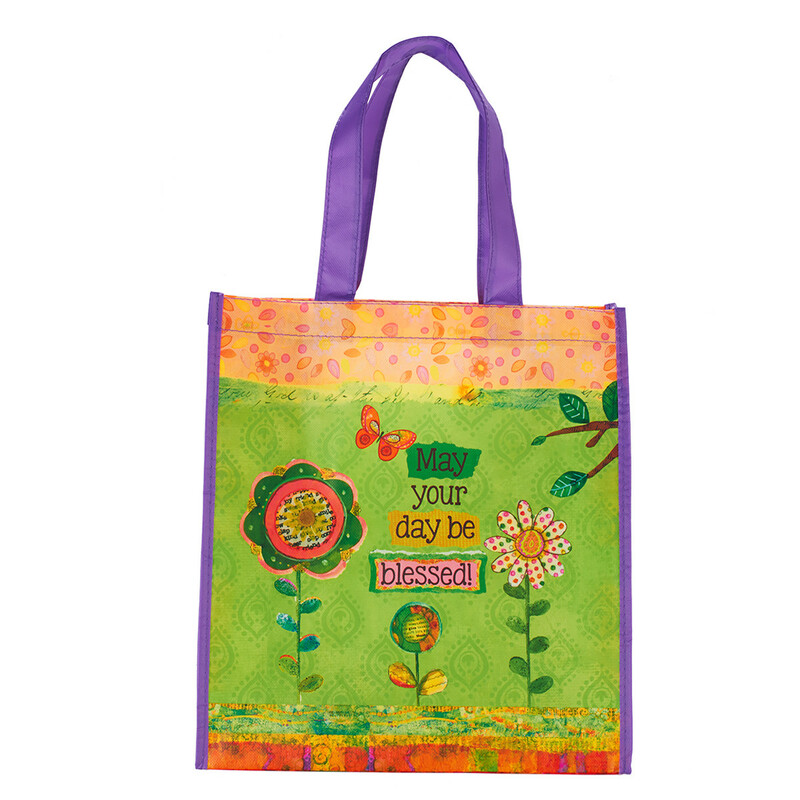 Just click here to ask us about May Your Day be Blessed Shopper Bag. What is the size of this shopper bag and does it have a gusset, please? Also, what kind of fabric is it made from? Where are the words printed as I can't see them in the picture. Thanks. A:The bag's size is (H) 35cm x (W) 32cm x (D) 19cm. It is made with an eco-friendly material, but does not have a gusset. There are no words printed on the front, but on the back it says 'May Your Day Be Blessed'. I added a couple more images for you to better see the bag. Thank you for using the Q&A Forum.